To many times data professionals flounder in what some call a pool of uncertainty. The countless tasks, tickets, projects, and emails that may flow in without prioritizing will leave individuals searching for what is needed to be worked on now. Face it, we all influence someone. 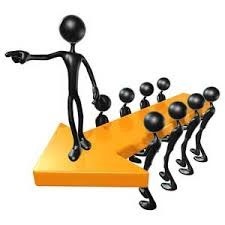 Whether you are a sole DBA out in the field or a leader of many there will be times when one will have some form of influence. There will be times when a data professional needs to juggle a multitude of tasks; being a leader in this area is key – either you organize or you will agonize over what all has to be done. The papers on the task keep growing, emails keep coming in, automated jobs are failing, on call is ringing off the hook, and you suddenly get that “frozen feeling” of what in the world am I going to do? If you’ve been in this business long enough than you know what I am talking about. If you are feeling this way go ahead and get the tasks organized then approach your boss about how best to approach them and what their advice may be. True leaders want to help their employees as much as they can and this is one of the areas that all of us can work on. All good leaders have learned to say no to the good and yes to the best, and one of the keys to success is keeping that line of communication open with your boss. Monica Rathbun (B|T) has a great post on The Shield. I suggest after you finish reading this post you go check hers out; a superb written post that provides insight into a lone DBA’s world. Often times we see that when people lack ownership of an idea, they usually are hesitant to change. It affects routine, causes a disruption, and at times creates fear of the unknown. Uncharted territories cause insecurities to rise; four important cycles that will stand out around effective change are create, conserve, criticize, and change. As a data professional there will be times when you are faced with bringing about change; here is a checklist that you may be able to garner some ideas from and assist you in helping you to bring forth implementing or requesting changes. Will this change benefit others? Is this change compatible with the purpose of the organization? Is this change specific and clear? Is it possible to test this change before making a total commitment to it? Is this change the next obvious step? Does this change have both short and long-term benefits? Is the leadership capable of bringing about this change? The above are methods that I’ve picked up over the years that have helped me not only become a better data professional, but a leader. 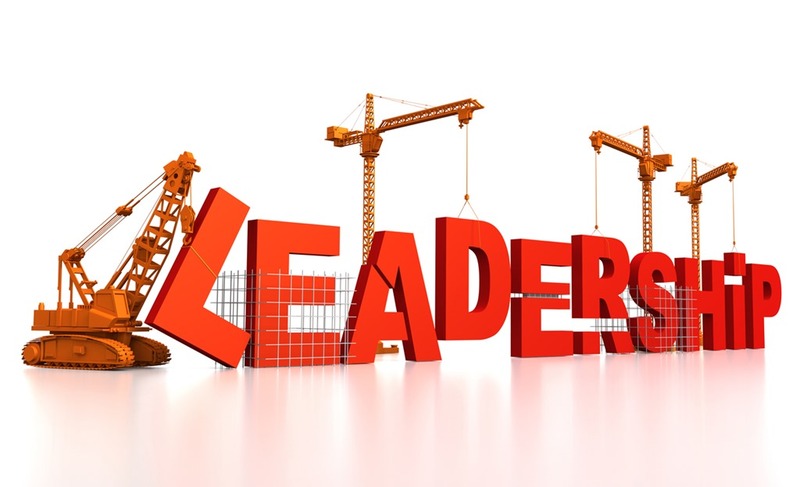 I’ll leave you with a few insights into what a solid foundation could be built on; it will be up to you to become the leader that you want to be; along with honing in your time management skills. The definition of leadership is influence. The key to leadership is priorities. The most important part of leadership is integrity. The most ultimate test of leadership is creating positive change. An extra plus in leadership is attitude. What is your most appreciable asset – people. The indispensable quality of leadership is vision. The price tag of leadership is self-discipline. May we never lose sight or focus of our dreams and goals. Obstacles will occur, but they are just that obstacles with solutions waiting to be had. Take the hard knocks as lessons that can be learned. 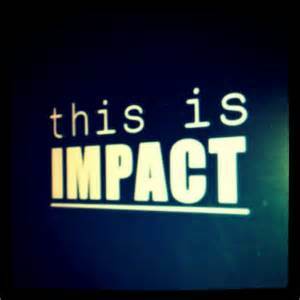 There will be many, life’s journey is full of them – what kind of impact will you have? Time is slowly ticking toward 0:00 on the clock. As I look around I couldn’t help but reflect back on the game – the game being 2015. Did I give it my all? Did I leave everything out on the court, and lay it all on the line? Sadly, I’m sure I could have done more – – I took some plays off where I needed to dig deep and give it all I had. With just a few more days left in the year 2015; the coach is drawing up one final play. I, you, we have to finish strong; it is what defines us; it is character; it is leadership; it is seeing things through and finishing strong. We’ve done some great things this year; nothing can take those things away nor negate the fact that we gave it, in our minds, all we could. So as people approach me and ask me what are my plans for 2016; I don’t know what the future will hold. Some of my thoughts though…..
That’s an odd word and sometimes one that we don’t’ associate well with. 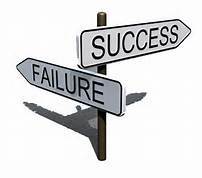 I expect to fail; if I do not then it means I am not trying; I’m not trying to be innovative and test the boundaries. Embracing the struggles that one goes through helps with the learning process of our job. It defines us; failing forward – don’t be scared and run from it – embrace it. Failing is not in our nature; it is not something we like. It is however an aspect of growth. Keep moving forward, take the hit, learn from it, own it, and move on. There will be times in your life when you are kicked down and you feel like you don’t want to keep going with figuring out the issue at hand; the weight of the world is on your shoulders and it is up to you to get it done…..this is when you find the way and you dig deep to find something within you to keep pushing forward. I, we, you eventually will get through the test of the will and grit – mental toughness if you will. It takes courage to let things go; 2015 will be in the past soon. 2016 will be in front of us; what is in front of you is greater than what was behind. It will be up to you to make it yours…. Do you want to embrace your destiny or flutter on the ground in your history? The new year represents new beginnings; if you want to learn something new within the industry then set your sites and – Let’s roll. Don’t be distracted on what used to be or what could be…..if you do that then everything that is will slip by you. Everyday when you wake up you can go pursue that piece of technology that you want to learn. I remember the sprints I used to run in the middle of the street at 3:30 a.m. I remember the 1000 jump shots I would take in the morning before school. I remember the countless hours of training off hours from practice that were put in. I remember people holding brooms up in the air as I took shot after shot to get that arch down right when shooting over a 7’ tall player. All that work; all that planning – it has made me realized that the same investment in yourself has to be done as a data professional. Each one of us are designed to be who we are; not like everyone else. I have a ton of people I look up to in our SQL industry – John Sansom, John Sterrett, Jes Borland, Aaron Bertrand, Tim Radney, Brent Ozar, Steven Jones, Grant Fritchey, Erin Stellato, Chris Shaw, and many more that I cannot name as it would fill this whole post up…As much as I look up to these people I cannot be them. They are each their own person and I am me; what I can do is put forth and effort and continue to learn just as they have. I can be the best that I can be; same for you. That mountain you are trying to climb right now in learning? We’ve all been there; it’s part of growth and I’m here today to say you can do it; just keep putting one foot in front of the other – that is action and that is progress. So 2016; what about it? 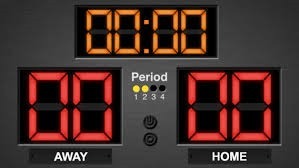 Heading into 2016 I can only say that I will give you my all, give you everything I can, and at the end of the game I can look each of my SQL team members in the face and say – I gave you all I had; have nothing left in the tank to give. Everyone has a story; some stories are similar while some stories are vastly different. People always make the statement that you shouldn’t “assume” because if you do….well then you know what happens! I will go out on a limb and gather to say that many fall into the category I did when it comes to the SQL community. From the years 2000-2010 I had no clue that the SQL community existed yet alone any conferences. It was when I was hired on at my current shop did I learn of this thing they called PASS Summit. From 2011- to present I can honestly say it has been one heck of a ride. A lot has transpired over the course of soon to be 5 years and I’m thankful for it; I wouldn’t change a thing. I look back at those first 10 years and I was floundering – man o man was I floundering. What that time means to me now though is a light into the future and to know where, as a data professional, a direction I want to go in. I’m starting to get asked more and more the question of “What can I do to get involved within the SQL community?” or “I’m not good enough to get involved”. My answer to that is simple, let’s roll. Below are five avenues in which you can get started with community involvement. All they require are you; yes that’s right you to take the initiative and get involved. 1. 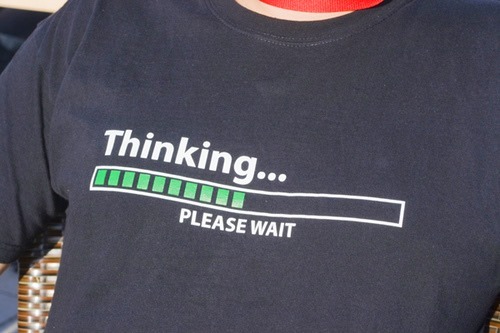 Don’t beat yourself up if you start to write, but have mental blocks. 2. Get a few blog posts in the pipeline and scheduled to help get your feet wet. 3. Find a good platform; there are several out there such as WordPress. 4. If writing examples; then prove your examples. Don’t just write to be writing. Have a point prepared. 5. If you reference someone’s work then give credit where credit is due. This is a huge pet peeve of mine. One caveat I want to add here is be professional; companies do look at your involvement. Become an active member in PASS; it doesn’t cost you anything and can provide various forms of volunteering. This type of involvement has changed my career allowing me to see on a more global scale of how impactful our SQL community can be. Learn more about the PASS Summit here. These events are free. Let me ask you this; does your company not want to provide you with any training; or better yet maybe they do and just don’t know how. These events are free except for lunches and has some very talented speakers that attend. Take advantage of these; you can get a current listing on my blog here or go visit SQL Saturday’s home page here for further information. Maybe you have been in the community for a while and it has become stale. One idea would be to mentor someone; doesn’t have to be someone in a different state; how about someone you work with that is needing help. Do you remember when you started out? I sure do and I would have loved to have some guidance and help earlier on in my career. Five years ago I was fortunate to learn and model some of my ways from a group I called my “fab five” – give them a read here; truly thankful for these individuals. Mentoring someone ignites the passion to keep those knowledge juices flowing; each one reach one effect. I’ve come to learn through my 5 years of involvement with the SQL community that it is not always a bed of roses and flying unicorns but SQL family is composed of not only some of the brightest minds in the business but also individuals who care for one another and who genuinely step in and help when needed. So I ask you, why wait? How many years will you let go by like I did before you become involved? There has not been one day where I have regretted becoming involved within the SQL community and if you would like to talk more about how to get started let me know. I will be happy to discuss with you offline if need be. It’s GameTime folks; Let’s roll and keep this community moving forward. SQL windows functions, it would seem, get lost in the shuffle most of the time when dealing with SQL. Why do you think that is? I honestly think that it is more or less developers, DBA’s, and data professionals are oblivious to some of the cool features that can be accomplished with its utilization. To put it simply windows functions could be viewed as looking in “windows” of your data. That is about as simple as an explanation as I received when I first started using these types of functions. Don’t sell yourself short. I guarantee once you start utilizing windows functions you will want to use them everywhere. Just make sure you know the positives and negatives and as always just don’t blindly copy code from the net. Explore it, set something up on your Dev or VM sandbox. Failure to learn is not an option! Who Do I Follow? Where Do I Go? There are many helpful sites within the SQL Community and several more blog sites that I follow. My favorites are noted on this site; however one that keeps drawing me back time and time again is by Brent Ozar’s group. For those of you who have not had the opportunity to check the site out I’ll lay out some real world specifics on what has helped me and how I have benefited from such sites as this one. There are two scripts that have seemed to help me tremendously over the course of the year. One is sp_Blitz (comes with a SSMS custom report) which a new version just came out; and the other is sp_BlitzIndex. I recently just started to use the sp_BlitzIndex but I liking this little utility while the other sp_Blitz I use when hitting new or old servers, you know the ones that you stumble upon that no one knows about and no one has a clue of what it is doing. Two great free utilities that are offered that may just save your hide one day. The team makeup of Brent, Kendra, Jeremiah, and Jes makes it an easy choice for me to have in my arsenal of following. I try to find people in the industry of whom I consider for myself top in the industry and learn from them and their techniques to help better myself and further gain more knowledge. If you haven’t already done so go check their site out and what their about. Real people providing real solutions with some fun along the way. 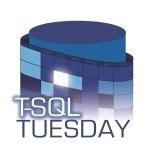 Another T-SQL Tuesday has come and gone and I’ve got to admit that all the responses that were received are pretty awesome and even had a few responses from first timers that attended the PASS Summit 2012. While all the posts were great, I had one that blew me away and is exactly what the Community is about. Kendal Van Dyke allowed a post to be tied to his blog by Andy Levy who currently didn’t have a blog and is fairly new to SQL. If you get a chance check it out. One theme that I read over and over again is that we are one huge family and we have each others backs. The Community has a whole goes out of their way to assist our fellow members. Below is the roundup from everyone who chimed in. Thanks everyone for their participation! Kerry Tyler – T-SQL Tuesday #36: What Does the SQL Community Mean to You (Me)?